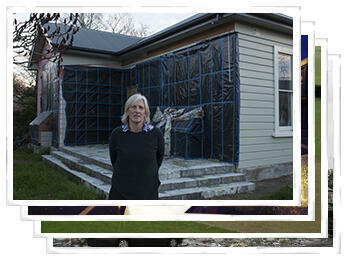 'We Lived Here' was a collaborative project between photographer Juliet Nicholas and writer Fiona Farrell. The project aimed to record the experiences of residents from the Avon Loop whose land was zoned Red after the 22 February 2011 earthquakes and houses were demolished. Interviews were conducted with the residents and their homes were documented through photography.